Before turning to a close investigation of the ways in which thoughtful people talk about their faith, we need to step back and consider why the God problem actually is a problem. Our contemporary culture sometimes gives us the false impression that believing in God is not problematic at all, especially because so many people do believe and apparently consider it reasonable to believe. For one thing, our culture is highly relativistic, and so it is not uncommon to hear about people who, for instance, are dedicated scientists and devout Christians, and to say to ourselves, well, that's their business. Instead of questioning how they can reconcile these beliefs, we just assume they must have their reasons. Similarly, we hear a politician or athlete saying she is asking God's blessing on America or that he is praying for victory, and we somehow determine that these are just figures of speech. Or we fall back on distinctions we have learned somewhere during our long years of schooling and tell ourselves that facts are different from values or that reason is different from faith. These are ways of talking - and will deserve our attention later on - but they do not satisfy the critics who take a skeptical view of religion. The critics have put forth some trenchant arguments about why it actually should be difficult for intelligent, well-educated people in the United States and elsewhere to believe in God. Much of the recent concern about religion stems from the view that beliefs about God are irrational. The kind of rationality with which this criticism is concerned is using appropriate means to accomplish one's ends. A rational approach to driving a nail involves using a hammer. A rational way of treating an illness is to call a doctor. Asking God to drive the nail or treat the illness would be irrational because any normal, intelligent person knows there are more effective ways of proceeding. Prayers and other religious incantations do not get the job done, and to think they do is to engage in superstition. In the past, before the advent of scientific medicine, people who held superstitious beliefs could perhaps be excused for these false ways of thinking, critics argue. But in the contemporary world, being superstitious is a sign of stupidity. Thoughtful educated people should know better. Indeed, the whole purpose of modern science and education has been to develop rational ways of pursuing our goals. If we want to increase the yield of our crops, we experiment with hybrid seed varieties, fertilizer, and irrigation; we do not pray like people did centuries ago in hopes that the gods will intervene. This is not to say that thoughtful Americans are always rational about everything they do. We nevertheless strive to find the most effective ways of getting what we want. A person who wants to do well on an exam knows that the rational course of action is to spend time studying. He or she may spend too much time partying. But that is a matter of poor planning and of deflecting one's energies from achieving one's goals. To be irrational would be to assume that partying itself is the correct way to earn good grades. Expecting God to reveal the answers for the exam is similarly irrational. And it strikes us as plain stupid if people think that hexes, magic, and other superstitious activities are going to work. Just to be clear, this criticism taken by itself does not constitute an argument against believing in the existence of God. Even the most ardent critics would acknowledge that this is the case. It still might seem rational to believe that God or something God-like exists because there are unknown and perhaps unknowable aspects of the universe. Or it might seem reasonable to believe that God exists because this God offers a person everlasting life in heaven. But those kinds of beliefs have very little to do with the God problem I am describing. God is not a problem only as long as that God steers clear of any active involvement in the world as we know it. The God of an unknowable universe or of life in heaven is a God that can be believed in without imagining that this God intervenes in any way with daily life. That God need not perform miraculous cures, make rain, or assist in winning the lottery. As soon as this God starts messing with the natural order, the God problem comes into play. An educated person will have difficulty believing that God can cause the sun to stand still, virgins to give birth, rain to fall, and diseases to be cured. A slight variant on the argument that believing in God is an irrational way of achieving one's goals is the idea that God or some other supernatural being is responsible for one's failures. The claim that "the devil made me do it" is one example. Suppose I steal a car, get caught, and at trial explain to the judge that I had been instructed by an evil spirit to commit this felony. The judge might not send me to prison but have me locked up in an insane asylum. At the very least, the court would consider my defense irrational. The same logic applies in less extreme cases. If I am a thoughtful, well-educated person and am having difficulties in my marriage, the rational thing to do is talk to a friend or seek help from a trained therapist, marriage counselor, or psychiatrist, not to visit an exorcist. If my marriage founders, some part of me may decide that it was God's will, but I would have trouble with the thought that I could have prevented it if I had prayed harder or that God was punishing me for something I had done. A related criticism that is much broader than the concern about irrationality is the view that beliefs about God are uninformed. This criticism is less about superstitious notions of how to get what one wants and more about religious belief simply being naÔve. It is concerned with the broader view that an educated person should understand that scriptures were not really divinely inspired, that sacred texts contain errors, and that there are naturalistic explanations for religion itself. People living several centuries ago may have read the biblical story about the world being created in seven days and had little trouble believing that this really happened in that space of time. They may have heard that God created Adam and Eve about 6,000 years ago and figured that was exactly when it happened. A person nowadays with no education might have heard these yarns from a family member and have had no reason to question them. A child could learn the story about Noah's ark in Sunday school and think how nice it was that all the animals were saved from the flood. But educated people should have reasons to question all of this. They might still believe in God, and yet they would surely have doubts about many of the things people claim to believe about God. They would certainly disbelieve that the Bible stories should be taken literally. They might have difficulty praying to a God about whom so much false information has been presented. In short, popular concepts of God would be a problem. The emphasis on cultural evolution evident in Dawkins and many other critics of religion offers another argument about the difficulties of being well-informed and devoutly religious. In this view, the essence of religion is ritual, which serves as a primitive means of communicating and affirming group loyalty in small, homogenous, local societies, almost like grunts and gestures did before the development of verbal language. But in modern, complex societies these rituals serve less well and indeed are replaced by rational modes of communication. As Jurgen Habermas, one of the leading proponents of this view, observed, "with the development of modern societies, the sacred domain has largely disintegrated, or at least has lost its structure-forming significance. "4 Thus, the incompatibility between devotion to God and functioning as a well-informed citizen has less to do with the knowledge or lack thereof of particular individuals and is more the result of a modernizing process that simply renders religion less meaningful and less socially significant. There are numerous ways in which being informed can lead a well-educated person to have trouble with standard beliefs about God. Scientific information about evolution or about how big Noah's ark would have had to have been to hold representatives of every species is only one. A thinking person knows that cancer sometimes goes into remission from natural causes. The patient who lives to tell a miracle story about answered prayer has to be considered in relation to the patients who prayed and did not live to tell their story. If a friend says getting a cushy new job was a "miracle," it probably takes only a split-second to translate this into something other than an event like somebody being raised from the dead. Being informed means knowing that people kill in the name of God and pray to deities that command human sacrifice. It involves an awareness that the other side is praying to its God for victory and that more than one religion claims to be the only path to divine salvation. If Habermas is right, a thoughtful person would understand that religious rituals are a carry-over from an earlier stage of human evolution and that they work better in isolated contexts than for people with cosmopolitan tastes. If nothing else, participating in religious rituals may seem a waste of time compared with devoting oneself to areas of life requiring more specialized knowledge, such as science or medicine. Believers themselves sometimes argue that too much knowledge is a bad thing and affirm that ignorance is the basis of their faith. They disrespect intellectuals or argue that faith must be blind, meaning that it cannot withstand intelligent scrutiny. To a person who values education and reason, people who embrace this kind of blind faith seem to have fallen recently from the proverbial turnip truck. Dogmatic religion poses special problems in this regard. An adherent of dogmatic religion may be very well versed in the teachings of his or her faith, and yet be closed minded about everything else. That person is likely to be uninformed about the teachings of other faiths, about the cultural factors that shaped the history of these faiths, or about the arguments of critics. If nothing else, studying the fine points of one's own dogmatic tradition becomes a higher priority than spending time learning about art, music, or science. The opposite is to be open to new ideas. "What we respect," Hitchens writes, in describing the critical view of those he admires, "is free inquiry, open-mindedness, and the pursuit of ideas for their own sake. "5 This is why atheists have often referred to themselves as free thinkers. Dogma requires believing in what a person has been told by a religious leader or in a creed or sacred text. It means defending wisdom from the past, rather than exploring new ideas. It stifles intellectual curiosity. I am not suggesting that a religious person cannot also be an informed person - and critics of religion generally do not make this argument either. Saying it is impossible to be both is easily refuted by pointing to Isaac Newton, an example of a religious believer who was clearly well-informed, or to the genomics expert, Francis Collins, as a current example, or to many other leaders in their fields who have combined intellectual curiosity and faith. The point is rather that a thoughtful, well-educated person has to figure out a way of being informed and devout. Otherwise, the bias in dogma is toward the view that all important knowledge has been revealed in scripture or can be heard by listening directly to the voice of God instead of exploring widely in other paths of learning. The God problem is not unsolvable, but it is a problem. Newton and Collins had to find ways to pursue higher learning and yet reconcile their faith with what they learned. A third, rather different set of criticisms is that beliefs about God are anti-democratic and are for this reason ones that educated people should consider problematic. These criticisms stem from the view that democracy requires citizens to be able to defend their beliefs through rational argument and thus be open to the beliefs of others, including a willingness to compromise in service of the common good. Belief in God is said to be anti-democratic because it leads to arguments that cannot be questioned. In simplest terms, believers assert that God told them to do something or that something is right. End of story. No debate, no discussion. And this is especially problematic when people of different faiths come together because each group holds its own unique convictions about truth. These convictions are divinely revealed and inviolate, subject neither to compromise nor to rational explication in terms that other groups can understand. This argument has had special resonance among political theorists interested in the conditions under which democracy can flourish. Presumably everyone in the United States, Western Europe, Canada, and countries with similar political traditions believes in democracy. A person who has invested considerable time and energy in acquiring information and learning how to apply reason to important decisions will be inclined to think that information and learning are especially appropriate to the workings of a democracy. When a religious leader declares that God wants people to vote for a particular political candidate, or when a politician asserts that God told him or her to run for higher office, thinking people are likely to have questions. They may only doubt that God actually spoke. But they may also wonder if faith should be allowed in the political arena. They might argue that it is fine for a person to hold strange views about God privately, but feel that it is really better if intelligent people use their brains when thinking about difficult social issues. Another set of concerns that is not fully expressed by any of the foregoing is the argument that beliefs about God are destructive. This is the idea that religion is actually harmful, either to the individuals who believe in God or to innocent bystanders who do not. It goes beyond the view, for instance, that asking God for help is irrational but unlikely to cause harm.11 It suggests that religion encourages people to do stupid things that are also dangerous, such as not receiving vaccinations. The list of destructive acts condoned by religion is quite long. The Bible tells of God wiping out whole cities and instructing the chosen people to slaughter their enemies, including women, children, and livestock. The biblical prophets call down divine wrath on false teachers. The psalmist cries out for the Lord's vengeance. The relatively milder teachings of the New Testament condone slavery and tell of people stricken dead for seemingly minor offenses. The United States is one of the most highly educated societies on earth, and also one of the most religious. 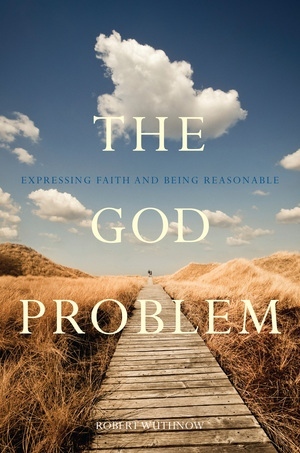 In The God Problem, Robert Wuthnow examines how middle class Americans juggle the seemingly paradoxical relationship between faith and reason. Based on exceptionally rich and candid interviews with approximately two hundred people from various faiths, this book dispels the most common explanations: that Americans are adept at keeping religion and intellect separate, or that they are a nation of “joiners." Instead, Wuthnow argues, we do this—not by coming up with rational proofs for the existence of God—but by adopting subtle usages of language that keep us from making unreasonable claims about God. In an illuminating narrative that reveals the complex negotiations many undertake in order to be religious in the modern world, Wuthnow probes the ways of talking that occur in prayers, in discussions about God, in views of heaven, in understandings of natural catastrophes and personal tragedies, and in attempts to reconcile faith with science. Robert Wuthnow is Gerhard R. Andlinger Professor of Sociology at Princeton University and Director of the Princeton University Center for the Study of Religion. Among his books are After Heaven: Spirituality in America Since the 1950s and Boundless Faith: The Global Outreach of American Churches, both from UC Press.